TYSONS, Va., Jan. 22, 2018 /PRNewswire/ -- PenFed, the nation's second largest federal credit union, has announced plans to raise an assistance dog through Canine Companions for Independence®. Employees at PenFed's Tysons headquarters will have the opportunity to apply to become a Volunteer Puppy Raiser for a two-year training period. "PenFed is proud to work with Canine Companions and provide support to those who have served our country and protected our freedoms," said James Schenck, PenFed Credit Union President and CEO. "Assistance dogs provide unconditional love, companionship, and loyalty. They help open doors for service-disabled veterans to regain their independence. The PenFed Canine Companion will ultimately help a person with disabilities regain freedom in all aspects of life." PenFed announced its commitment at The National Press Club on Saturday, January 20 at Side by Side: An Evening with Veterans & Service Dogs, benefiting Canine Companions. The event recognized the life-changing relationship between veterans and their assistance dogs as a critical part of service members' recovery and transition back home. PenFed was the title sponsor of the event and donated to the silent auction to raise funds for Canine Companions. A PenFed employee will raise the puppy, who will join PenFed's fast-growing team at PenFed Plaza in Tysons in spring 2018. The puppy will learn how to be a full-time companion by accompanying the employee to work every day and joining all of the employee's personal activities. PenFed will provide updates throughout the training period via social channels – Facebook, Instagram, Twitter, and LinkedIn. Employees in PenFed's largest member service centers in Nebraska and Oregon will have similar opportunities to raise assistance dogs in the future. 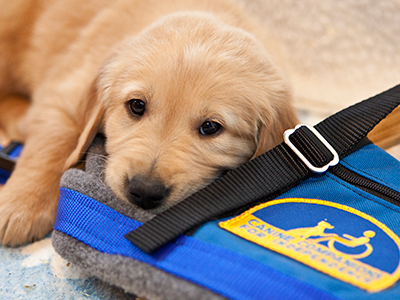 "We're excited to form this new partnership with the employees of PenFed Credit Union, and we congratulate them for their ongoing compassion and commitment to helping people with disabilities," said Debra Dougherty, Canine Companions Northeast Region Executive Director. "We know that PenFed employees will have a great experience supporting this new puppy as it begins its journey to become a highly-trained assistance dog. 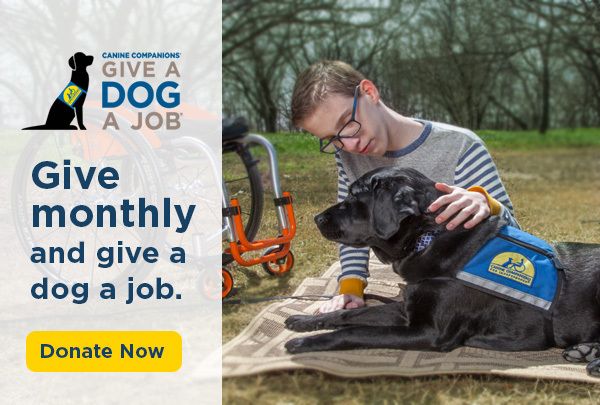 Canine Companions is extremely grateful to PenFed and their employees who are supporting our program and giving their time and energy to raise a pup that will soon be making an amazing difference in the life of a person with disabilities."